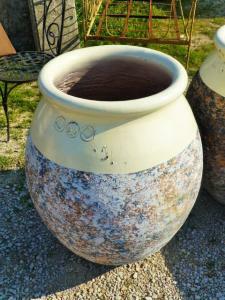 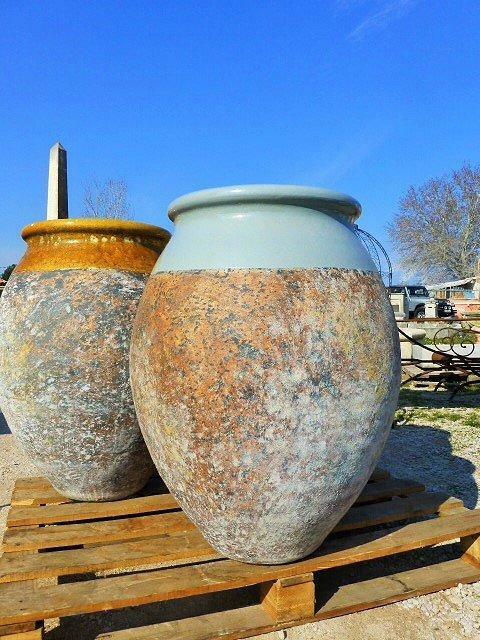 Big atypical Provence jar with several nice and pretty colors. 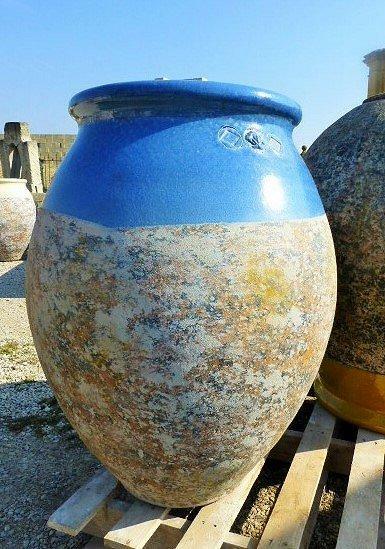 The method of shaping is said " à la corde”, that mean that a ropewas used to give this shape. 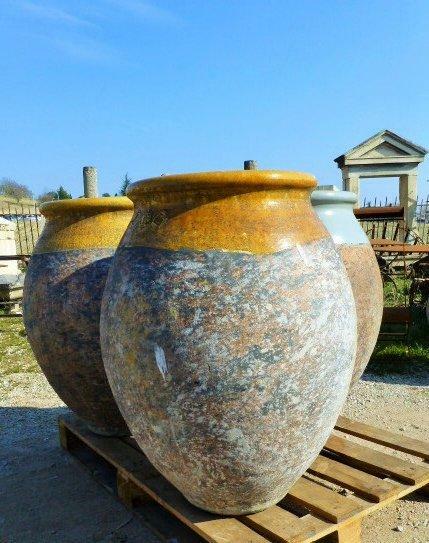 Several color in order to bring more modernity to this typical provencal item. 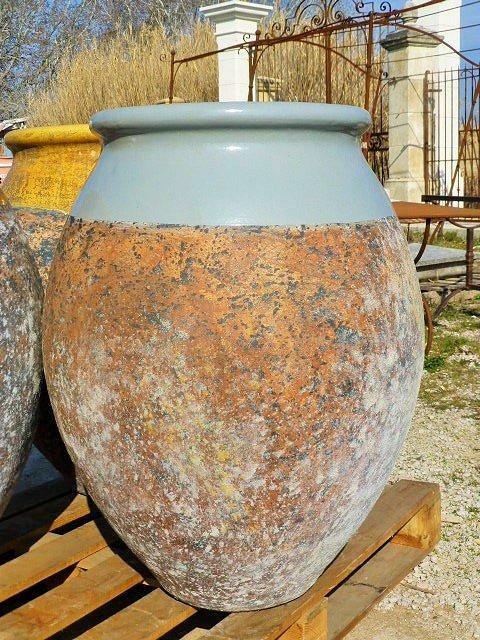 Placed at the entry of your house or in your entire garden, this jar will give a real Provencal and original appearance to your outside. 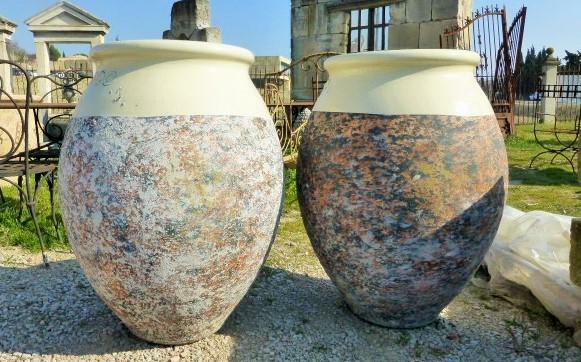 Hauteur : 90 cm / 35.4"
Diamètre : 76 cm / 29.9"